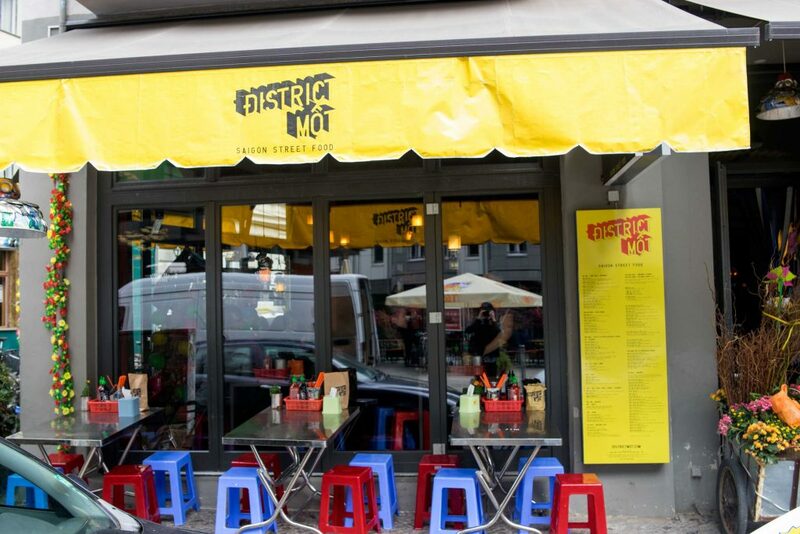 District Mot opened up its doors in the old location of Chi Sing on Rosenthaler Straße early 2013. 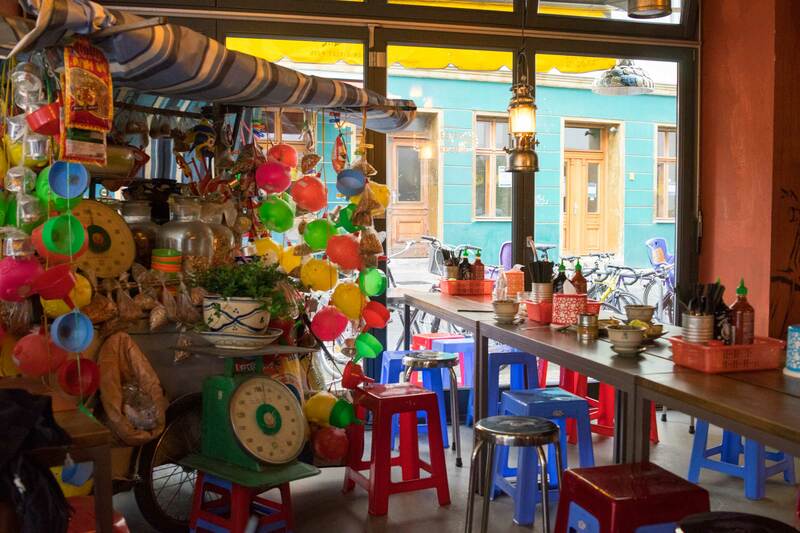 With a groundbreaking Vietnamese street food concept, a off-the-hook venue and an experienced crew in the background, this is one of the best modern Vietnamese restaurant’s in Berlin. The crew behind Si An, Chen Che and Chi Sing opened up District Mot in early 2013, and in my eyes this is the most interesting restaurant so far. 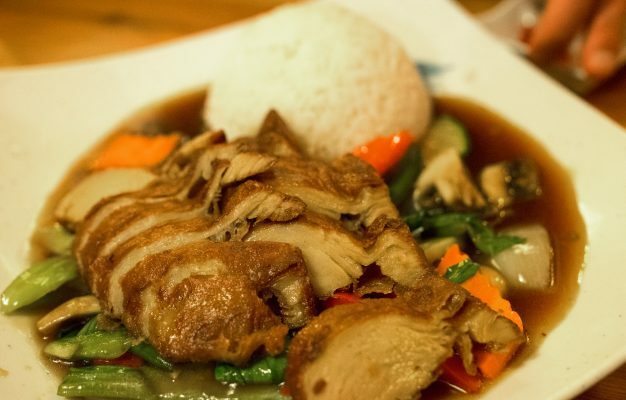 I’m a big fan of Si An and even after a decade of eating there it’s still a secret favourite of mine. In my eyes Vietnamese food is one of the most lovable cuisines in the world and after having spent some weeks in Vietnam, eating my way through the street food of Saigon and Hanoi, I was stunned by the amount of fantastic dishes which haven’t made their way to Berlin’s restaurants. 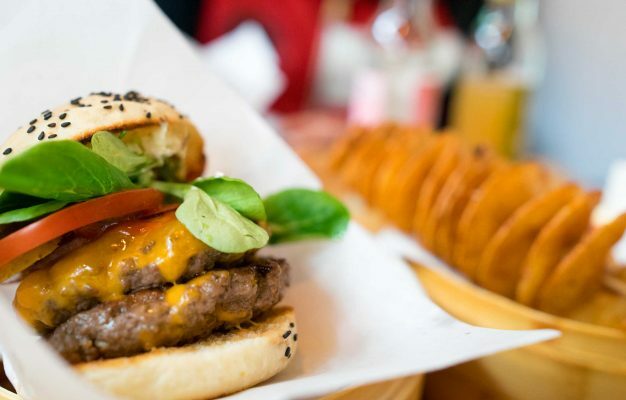 Don’t get me wrong, you can eat fantastic Vietnamese food in this city, from a steaming bowl of Pho to a crispy Bhan Mi there is an above average selection of genuine dishes. 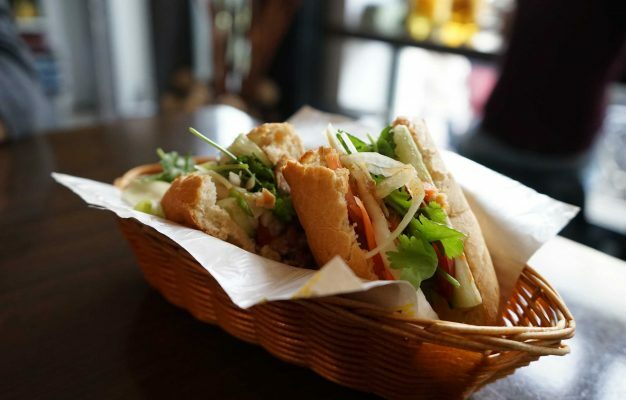 But the Vietnamese cuisine is diverse and very regional, from the seafood down south to a bowl of Bun Cha in northern Hanoi I discovered that there is so much more. When I came home, still dreaming about the insanely good dishes I tried, I couldn’t believe my eyes when I heard about the opening of District Mot. A restaurant by the Si An crew with a Saigon street food theme? Too good to be true! It’s located in the old Chi Sing venue close to Rosenthaler Platz and I’m actually happy about that bcause I didn’t necessary like Chi Sing. They renovated the whole place and turned into a Vietnamese Disneyland, and I actually mean that in a good way. From the tiny plastic stools that you find on every sidewalk in Saigon to the crazy power lines and buzzing atmosphere – it’s all there. It’s hands down one of the coolest restaurant venues of the city, the amount of effort and detail that has been put into this venue is remarkable. It’s colourful and vibrant and at the same time inviting and warm. That’s by far not all there is to tell though: To my overwhelming joy they really are serving a lot of the dishes I fell in love with in Vietnam. Above all Bun Cha, the amazing comfort food of the North and one of the best things I’ve eaten in my life: Small minced pork patties and pork belly in a flavoursome broth served with a mountain of herbs and noodles. Absolutely fantastic! 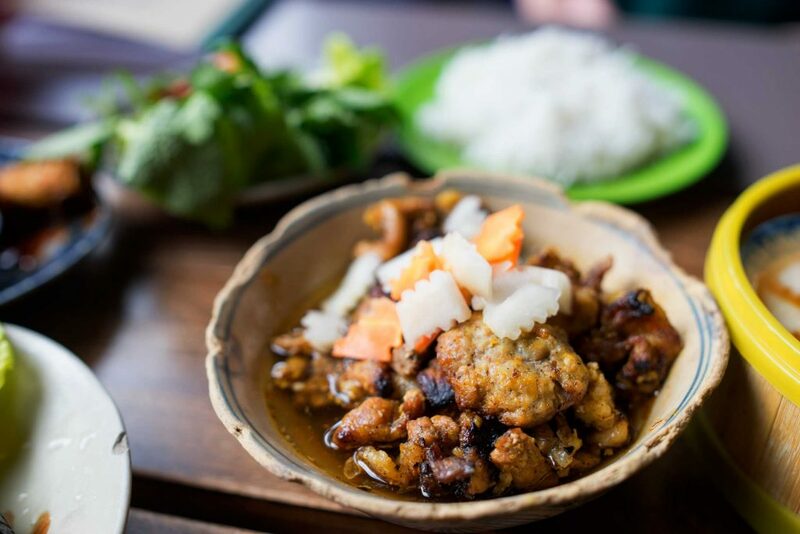 And that’s just one dish on the menu, you can indulge in countless other varieties which you won’t find in any other of the city’s restaurants like Vietnamese Frog Legs, Fried Sweet Potato Patties and Sautéed Corn. I tried about 7 of their dishes and liked all of them, most of the food is served in tapas dish sizes, making it easy to order a bunch of them and just share it between the table. Portions are generally very small, even the main courses. That would be my only point of critique so far, considering the portions the food is slightly overpriced and I had to order 5 dishes and put out more than 20€ to get full. 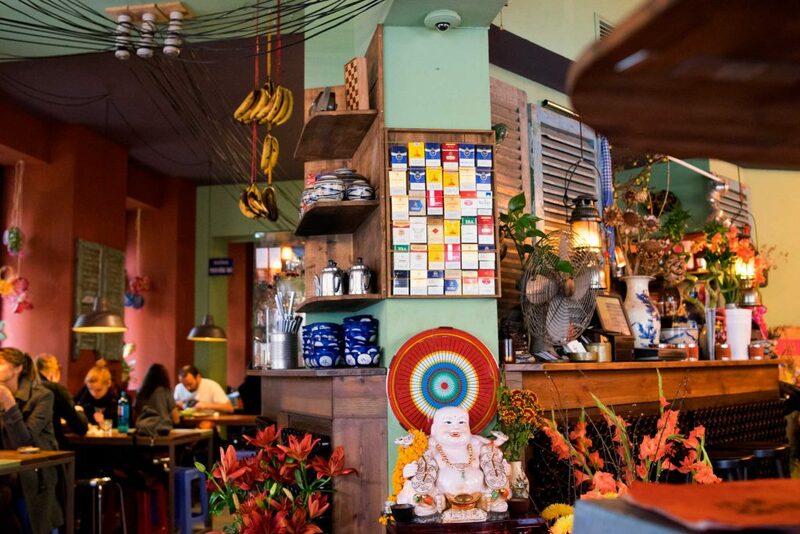 If you’re into Vietnamese food, chances are that you will love District Mot. District Mot is a lovely addition to the scene and with Chen Che and Co Co on the same street it makes Rosenthaler Straße one of the hottest Vietnamese food streets outside of Vietnam. 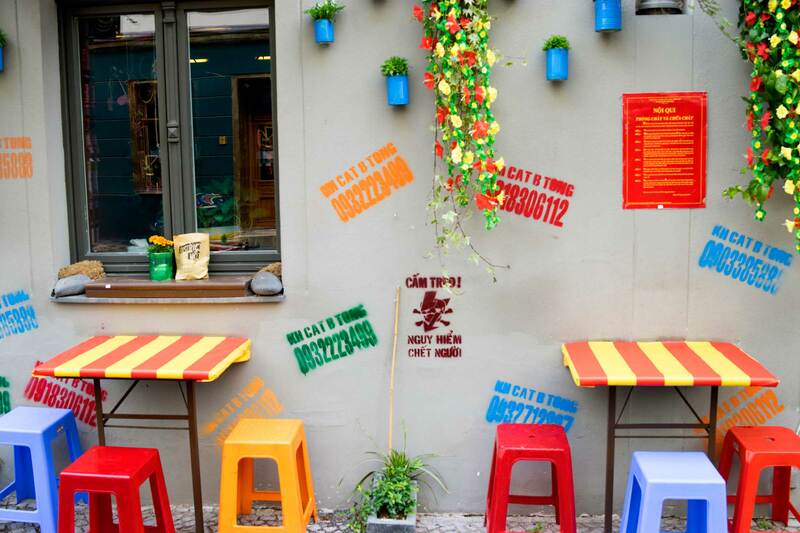 The Vietnamese food here is not the most amazing nor the most authentic you’ll ever have, and not even in Berlin, but it’s a fun and modern eatery that’s pretty much always open. 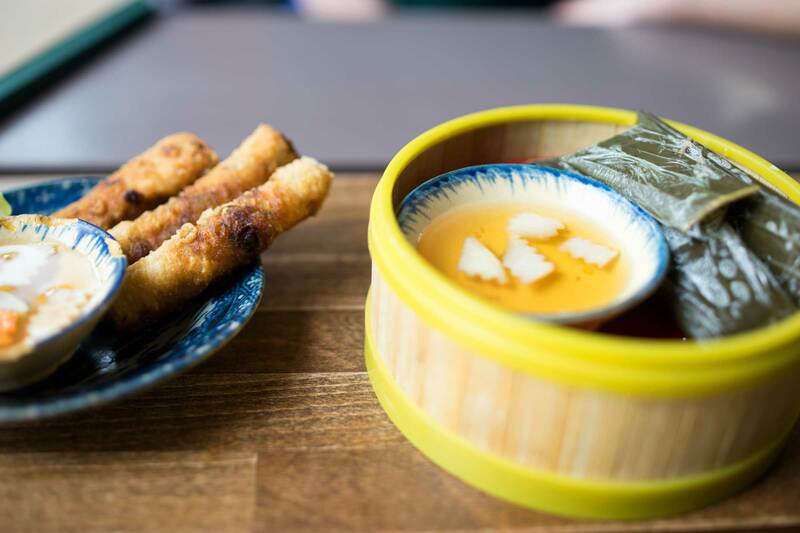 If you’re into Vietnamese food, chances are that you will love District Mot.